...On some Italian silver objects I found hallmark REC in a lozenge. In handbooks I was not able to find meaning of this hallmark. I do not believe it could be a maker's mark or manufacture but rather some official state mark (tax, import, export ??). 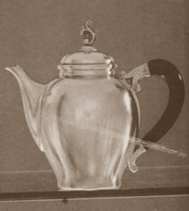 REC on my photo is stamped on a teapot that I bought in Croatia (with AL -town of Alessandria- hallmark with fascio). 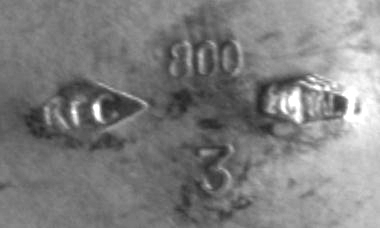 Another hallmark REC is together with '800' on the bottom of a silver glass bought in Trieste (Italy: near the Croatian border). The use of the lozenge 'REC' as an official Italian hallmark is unknown to me. I believe it may be a maker's mark (of unusual shape!) or a mark used during Italian occupation of Croatia in WW2. ...I also have seen 'R_C' (it's not clear to me that the middle character is an 'E') on some older Italian silver pieces. In each case, I have found that the item seems to be related to either Cesa (Italian hallmark '1 AL') or Ricci, both of which are part of Gruppo Greggio in Italy. I would suggest trying to contact Gruppo Greggio with a photo of the piece and your question. Now, after four years, the little mystery can be solved and the mark identified. The lozenge with 'R', 'C' and an '&' in the middle is the trade mark used by RICCI & C., Fabbrica Argenterie Posaterie, Corso Acqui 41/A, Alessandria. Ricci & C. was active in Alessandria since 1931 and, after the introduction in Italy of the new hallmarking system (law of February 5, 1934, n. 305), its products were marked "20 AL" (with a "fascio" in the middle until c.1945). 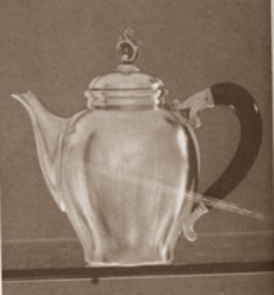 The coffee pot subject matter of Nikica Vuletic's question was manufactured between 1935 and c.1945, but the model was still in production well after this period as a similar coffee pot is illustrated in the catalog published in 1966 by Ricci & C. to commemorate the 35th anniversary of its founding. 2 cups, art. 611/01, h. 10cm, weight 170 gr. Some time later Ricci entered into partnership with A. CESA & C. S.p.a. 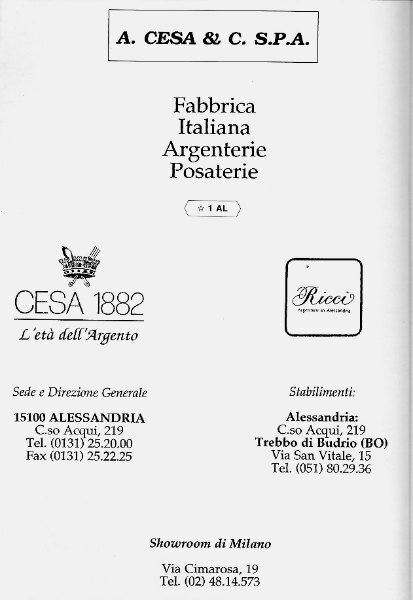 In a 1991 advertisement published by A.CESA & C. S.P.A. Fabbrica Italiana Argenterie Posaterie (mark 1 AL), identifies "CESA 1882" and "RICCI" as trade marks. 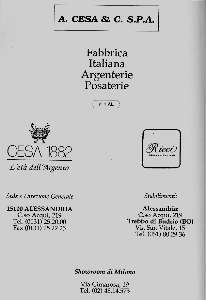 In 1995, Rino Greggio Argenterie SpA, Via Tagliamento 5, Selvazzano Dentro (Padua) took over the trade marks CESA 1882 and RICCI. 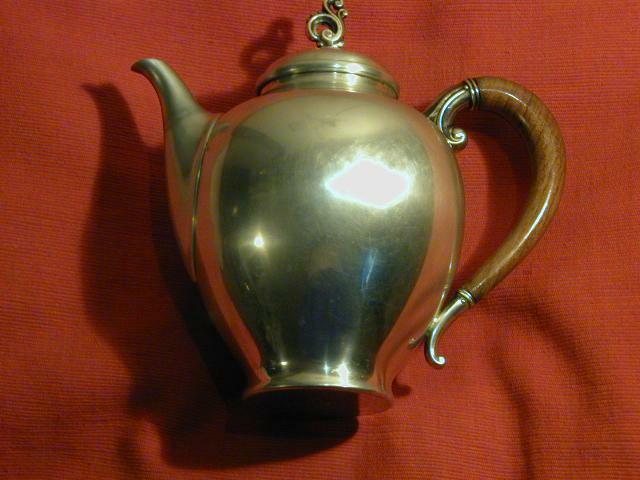 Both marks continue in use today on heir high quality, silver, flatware and hollowware products.